Our Commercial German Roach Kit contains products to deal with German Roaches in restaurants and commercial kitchens. It is also very useful for landlords with multiple properties to treat. The Commercial German Roach Kit contains products to deal with German Roaches in restaurants and commercial kitchens. It is also handy for landlords with multiple properties to treat. The combined products will provide savings. Alpine WSG WSG-200 Grams (7.05 oz): Alpine WSG Water Soluble Granules is a non-repellent, odorless, and reduced risk insecticide classified by EPA. The German roaches will not be able to detect Alpine WSG. Not only is Alpine WSG labeled against German Roaches, but also is labled for bed bug control, flea control and house flies. Tekko Pro: (16 oz-makes 8-16 gallons): This new insect growth regulator prevents immature cockroaches from development. After application, cockroaches with twisted wings will begin to appear indicating that they are unable to reproduce. This new IGR (insect growth regulator) has combined chemistry of active ingredients to increase its effectiveness as compared to other insect growth regulators. Invict Gold Roach Bait Gel: (1 Box of 4 syringes): Invict Roach Bait is our number one seller in the roach bait category. German roaches are attracted to this bait with 11 different food attractants. Invict works against German roaches that may already have bait aversion. These roaches readily take this bait. Avert Dry Flowable(1-30 gram tube): Avert Dry Flowable is a perfect companion in German roach control. This dry formula roach bait will flow into areas that roach gel bait cannot reach. It contains several essential food attractants combined with 0.05% abamectin that roaches will readily feed upon. It will remain effective for more than one year. Spectre PS (15 oz can):Spectre PS Aerosol with 0.5% Chlorfenapyr is effective on pyrethroid-resistant strains of cockroaches. As a non-repellent insecticide, it sets up an undetectable treatment zone that roaches will continue to contact instead of avoiding the area of treatment. 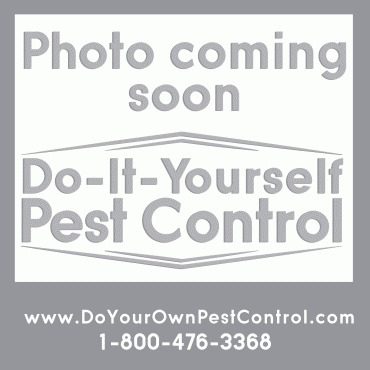 Victor Pheromone Roach Traps: (40 traps) : The Victor M327 roach and insect traps have a pheromone attractant and food scent to attract the roaches. They can be used as a tool for roach control and monitoring tool for early detections of German Roaches. Step 1: Mix 30 grams (1.05 oz) of Alpine WSG and 2 ounces of Tekko Pro IGR in 1 gallon of water. Apply in small amounts directly into cracks and crevices at points between different elements of construction, between equipment and floors, under and behind appliances, openings leading to voids and hollow spaces in walls, equipment legs and bases, and other areas where roaches hide. Any cracks and crevices that are difficult to spray into can be easily treated with the Spectre PS Aerosol using the included crack and crevice straw. Step 2: Inside the box of Invict Gold Roach Bait you will find four (4) tubes of roach gel. Remove the cap from the tip and use the plunger provided in the kit and push the gel out of the tube. Each bait placement should be about the size of a pea. Placements should be under and behind all appliances. Place more bait where you see roach droppings. Apply the gel in all other areas where roaches are, or where you think they might be hiding. Use small pea-sized dabs and apply plenty of them. Suggested areas include: under the counters and under and behind appliances. Keep in mind that roaches like to feed in the dark, so place the Invict roach gel bait in areas where they can feed on it without coming out into the light. The gel bait will be very attractive to the roaches due to its high moisture content. As it dries, it will be less attractive, but it will continue to work. Step 3: Place out the Avert Dry Flowable Bait by squeezing the tub to let the dry formula flow into hidden areas, particularly in areas where the gel bait was not placed. For light infestations, a minimum of 4 - 6 bait points is recommended per 100 sq. feet of treatment area. For heavy infestations, a minimum of 12 - 24 bait points is recommended per 100 sq. feet of treatment area. Step 4: Allow a few days for the roach population to decline and then put out the Victor Roach and Insect Pheromone Traps. You can separate them into two small traps or use them as one larger trap. Remove the release paper to expose the glue and then fold them into a “tent.” Place them in areas where roaches have been or are likely to be. Use the adhesive strip on the bottom to attach them to walls or under counters. Monitor the traps frequently to help identify areas of heavy roach activity. As the roach population decreases the traps are a good way to discover and pinpoint new roach activity. Maintenance: For maintenance we recommend monthly treatments with the Alpine WSG and Tekko Pro IGR mixure. At any point during the treatment, Spectre PS Aerosol may be used to kill any roaches that are seen quickly. Remember to read and follow the directions on all product labels. Started seeing German Roaches then they exploded and were everywhere. Tried everything including sprays that said would kill germans and last up to six months. Did not work. This kit has proven a success. I took over a restaurant in Jan, Kitchen had a German Cockroach infestation, literally thousands when lights turned on, I treated daily with OTC spray / bait and a professional service treated weekly for 5 weeks...still thousands. I used this kit and within 2 weeks all roaches and hatchlings were completely dead, totally eradicated !! Amazing results, I thought nothing would work against these highly resistant roaches. I HIGHLY recommend.